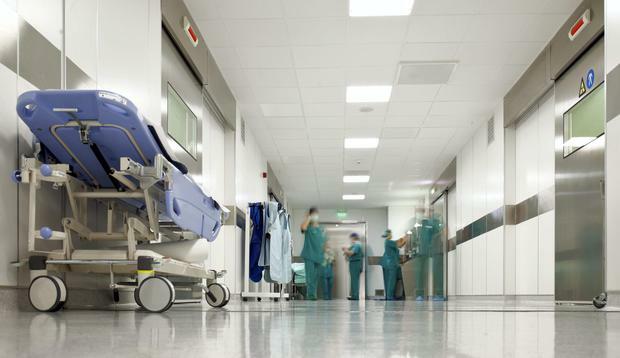 Two kitchenette areas in a hospital in Co Meath were served with closure notices last month after a small rodent was found dead. Rodent droppings were also found in one of the kitchen areas, as well as “inadequate pest proofing of external drains”, according to the Food Safety Authority of Ireland (FSAI). The closure order at Our Lady’s Hospital Navan, Co Meath, was issued by the FSAI on January 2 and lifted on January 5 under the EC (Official Control of Foodstuffs) Regulations, 2010. A separate closure notice was issued last December after rodents that posed “a grave danger to health” were found in the men’s ward. Separately, a privately owned coffee shop in the hospital, which was not the subject of the current FSAI findings, was issued a closure order by the watchdog in 2015 after a live rat dropped from a height onto the floor and six dead rodents were found in a trap. The closure last month was part of 10 notices on food businesses for breaches in food safety in January. In a statement released by the FSAI, rodent activity was reported in the kitchenette of the Medical Assessment Unit in the hospital, which included the finding of a small dead rodent as well as rodent droppings. In a second kitchenette in a female medical ward, a pest control company reported a “mouse caught on trap” on January 2. The inspector found that the rodent evidence posed “a risk of contamination of food with pathogenic bacteria and foreign matter resulting in an unacceptable risk to consumer safety”. A HSE spokesperson for the Ireland East Hospital Group said that protocol was immediately implemented to deal with the rodents and that no patients were affected by the findings. “We can confirm that Our Lady’s Hospital Navan discovered small rodent activity in January. “The hospital immediately implemented its environmental safety protocol which ensures that all staff were fully briefed, and no patients were placed at risk,” a spokesperson said. The spokesperson added that the hospital is “working closely with its contracted pest control company to insure proactive management of the entire campus”. “We do apologise to all staff and patients for any concern this has caused and would like to reassure the public that we are working to ensure that the hospital stays free of further rodent activity,” they said. Other reasons for the enforcement orders issued in other venues in January included an active cockroach infestation where live and dead cockroaches were noted, no cleaning schedule or disinfectant available at the time of inspection and food storage containers dirty with evidence of black mould. Commenting on the orders released today, the FSAI highlighted the need for food businesses to implement a rigorous pest control system.